Hey guys, Ellen here! 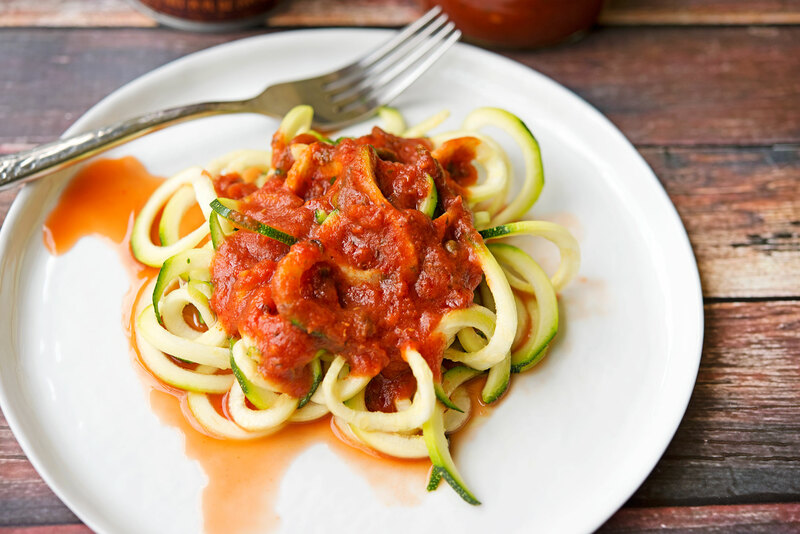 Otherwise known as paleo pasta, zoodles (which is much more fun to say!) are a simple substitute to regular pasta. They are made from zucchini and are a great way to get more vegetables into your diet. 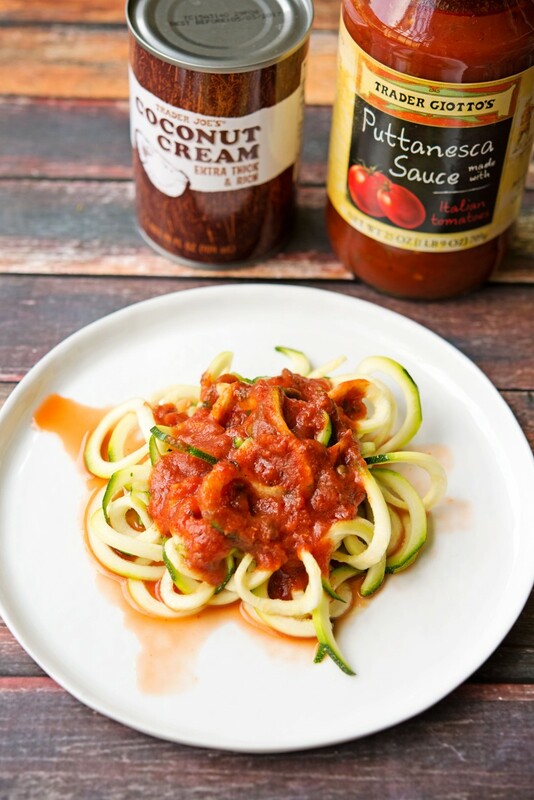 You can pair zoodles with no sugar added regular marinara sauce or a paleo vodka sauce (recipe below). 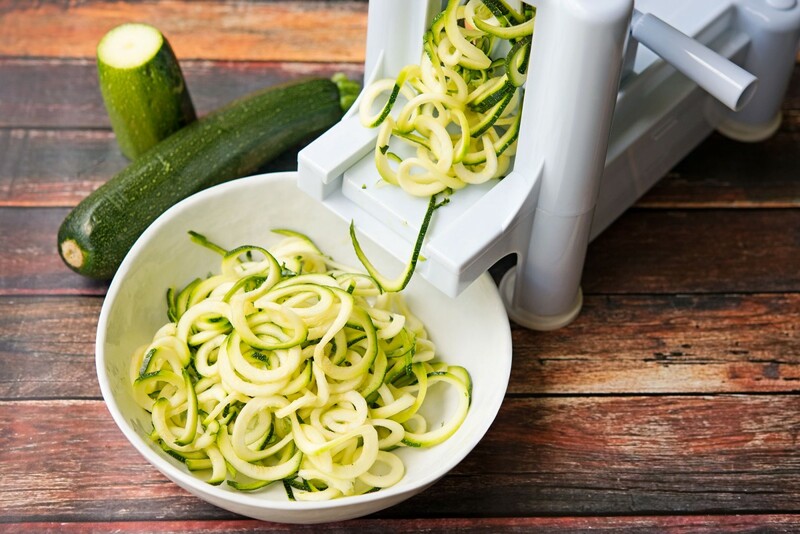 You can always slice up zucchini with a regular knife but to make proper zoodles, we recommend investing in a spiral slicer like the one pictured here. We’ve made paleo pasta with and without a spiral slicer and the spiral slicer is able to cut the zucchini thinner and more evenly which helps with consistency while cooking. Plus, it’s more fun to eat too! 6. Bring sauce to a light simmer and add in zoodles. This will help them soften. 8. Simmer for 5-7 minutes or until zoodles appear softened. 4. Add half a jar of marinara sauce to pan. 8. 4. Bring sauce to a light simmer and add in zoodles. This will help them soften. This meal is easy to make and delicious! You can add turkey meatballs as well for added protein. Categories: Paleo, Vegetarian Tags: paleo, pasta, spiral slicer, zoodles, zucchini. permalink.